SNAFU! : Military Industrial Complex Games? Congress Critters push for Israel to choose CH-53K over CH-47? Military Industrial Complex Games? 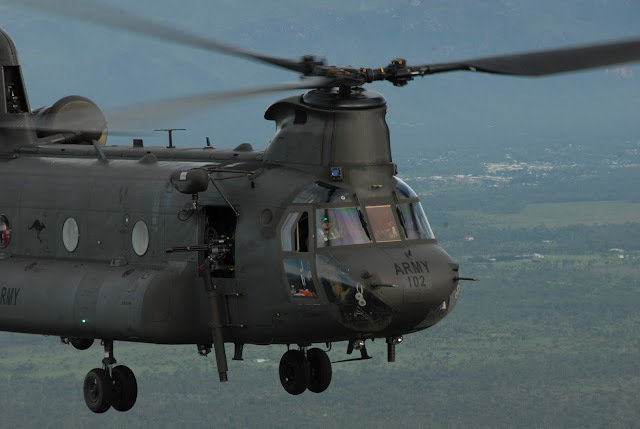 Congress Critters push for Israel to choose CH-53K over CH-47? via Rotor and Wing International. In April, multiple U.S. senators and representatives targeted Israel to solicit a CH-53K deal. While cost was not explicitly named a motivator for the members of Congress, successful procurement could bring down the price. PMA-261 works with international partners through the Foreign Military Sales program to potentially meet the international partners’ heavy lift helicopter requirements, Navair said. The more helicopters the government sells to international buyers, the more unit cost is decreased for all users. Navair told R&WI in March that the cost per unit is some $87 million at production, not including other costs. The program has come under scrutiny for its high price tag. Ignore the fictional accounting that has the price of the CH-53K decreasing by almost 50% once it goes into production. That kind of math defies everything taught in every business or economics course in the country. How they can get away with that idiocy is beyond me but it proves two things. People will believe anything and if you play with numbers without accountability you can make a million dollar widget appear to end up costing nothing. My main focus is on the Congress Critters. Not only are they forgoing their job to provide proper oversight to military projects (another issue is that the Marine Corps is programing 200 while the GAO says that they can only justify some 156 of them) but they're also acting as salespeople (in addition to what the US military does) for one US manufacturer over another. The workers at Boeing could certainly use some of that cheese just like the Sikorsky (Lockheed Martin) worker can. In short. The Congress is picking winners (CH-53K) and losers (CH-47) and that equals corruption.